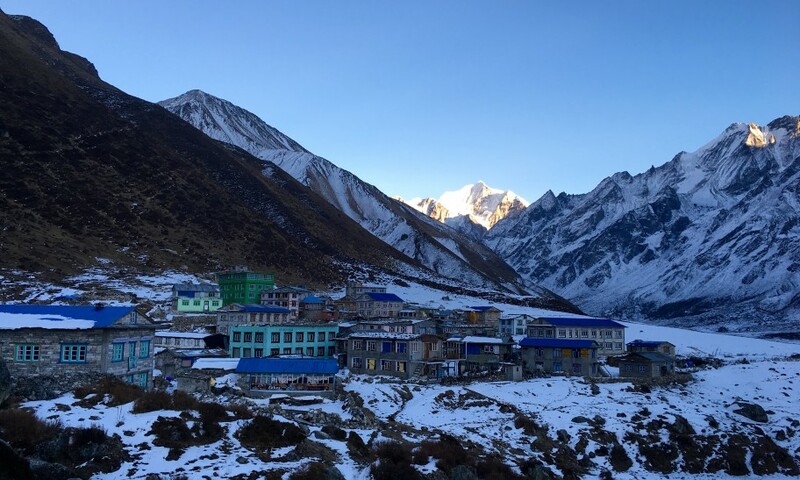 Langtang Valley Trek is the popular trekking destination in Nepal because it is easily accessible by road transportation from Kathmandu. The Langtang National park was designated as the first Himalayan National park in 1970. 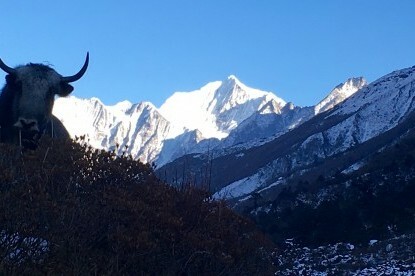 The area extends from 32 KM north of Kathmandu to the Tibet border. 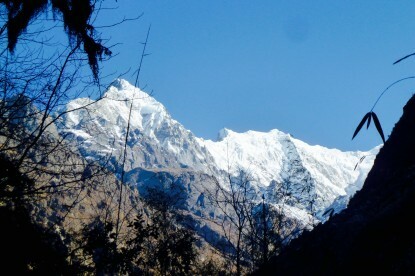 The highest peak in the area is Langtang Lirung(7,200m) including many other spectacular mountains. 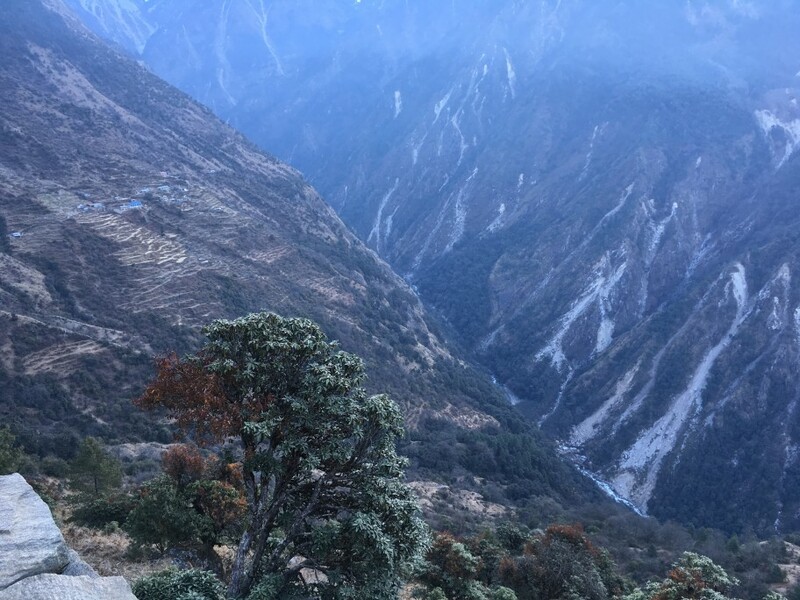 The variation in the altitude and the topography along with the existing forest provide habitat for a wide range of animals including Himalayan black bear, Himalayan Thar, Pika, Langur monkeys, and the endangered red panda. 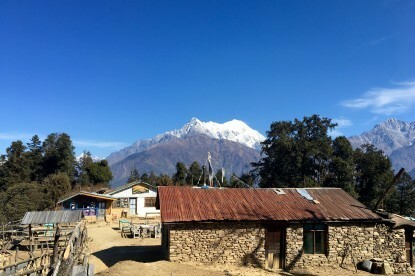 The trail to this area passes through Tamang and Tibetan villages offering an exceptional diversity of culture and fine views of Langtang Himalayan ranges, Ganesh Himal ranges and Many more. 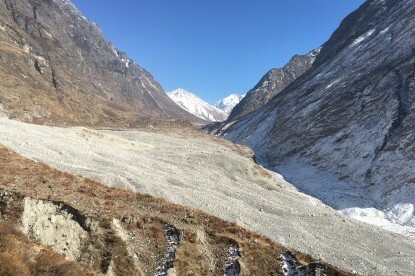 By the Devastating earthquakes of 25 April 2015 had made huge destruction in the valley including the Langtang village turned into moraine by the huge avalanche. 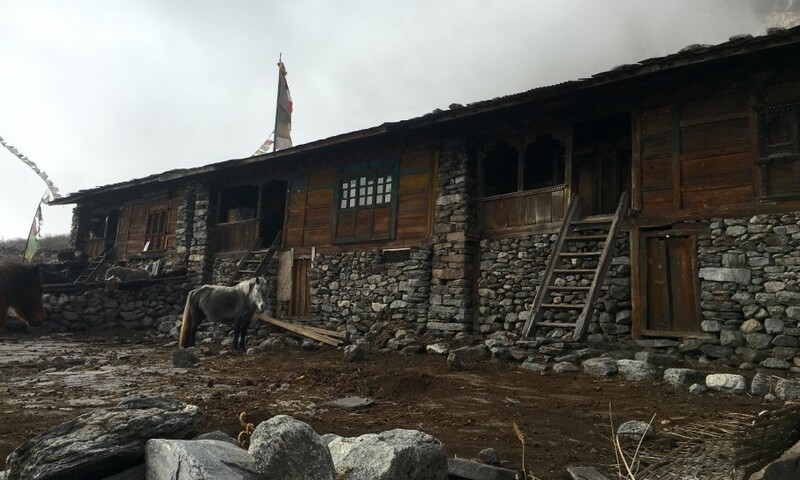 The area is slowly getting back to the normal life now as we will organize trips over there. The trek starts from the small town of Syabrubensi. 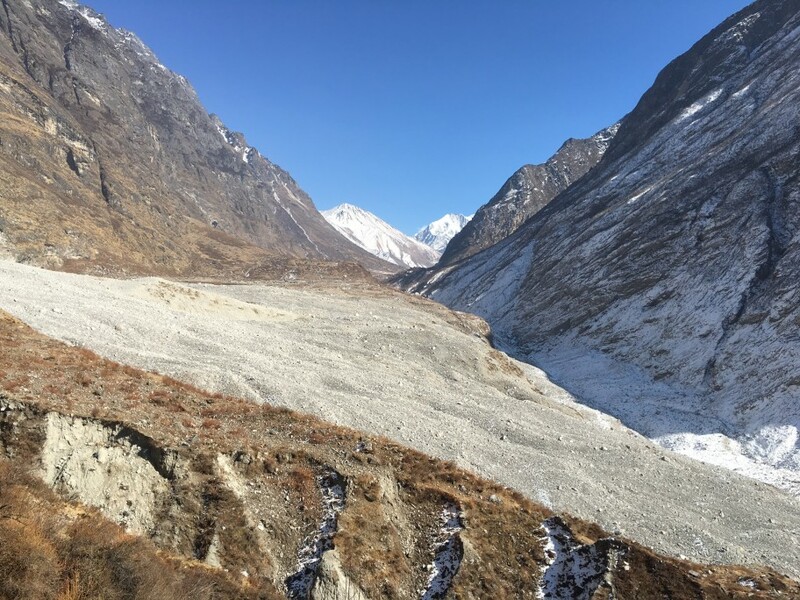 You can walk through the steep hill sections following the higher route of Sherpa gaun or other option following the old route along the valley then trail meets at Rimche than follow narrow valley along Langtang Khola to the north-east. Once you get to Godatabela(3010m), the Langtang valley gets wider and one can see Massif Langtang range rising above the skyline. 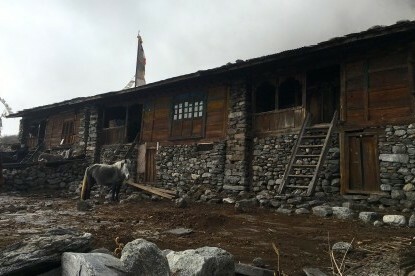 Then heading up to Langtang valley through Thangsyap, Langtang, Mundu to reach the Kyngjin Gompa; the last settlement where is many lodges are run all year round. 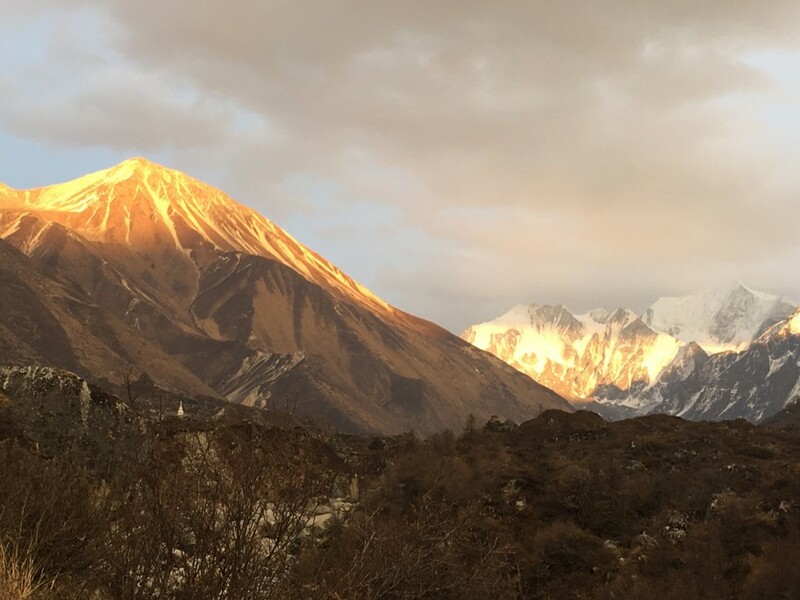 From there you can start day hike up to Kyangjin Ri(4700m) or Tserko Ri(4980M) for the spectacular Himalayan views including Langtang lirung, Gangchhenpo, Dorje Lakpa, Langsisa Ri, Yala peak, Naya Kang, Morimoto peak and many more. Then we will take the same route back to Kathmandu. 2 night accommodation on 3 star hotel in Kathmandu (Twin sharing deluxe room) with all Government tax and charges. 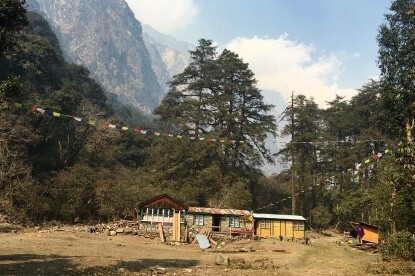 Accommodations in best available local lodges, 3 times meals and all kind of hot drinks (Tea/Coffee/Hot chocolate) during the trek. 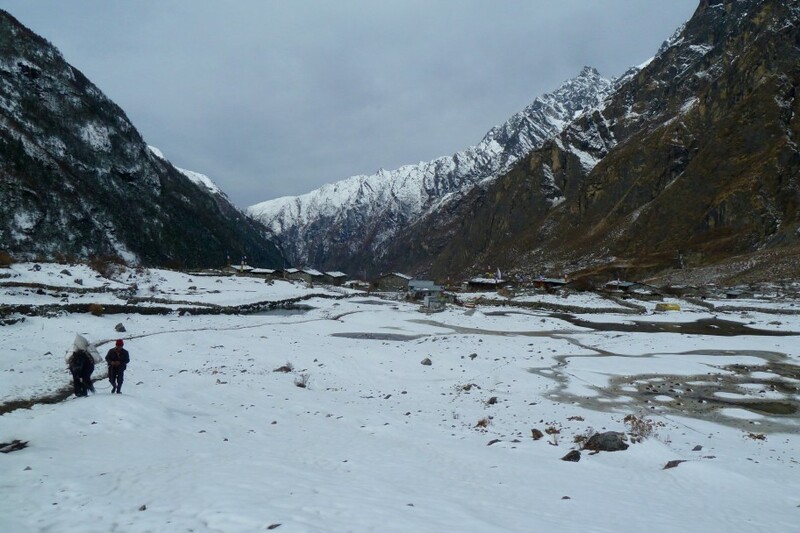 Langtang national park entrance fee. TIMS (Trekker’s information management system) card arrangements. 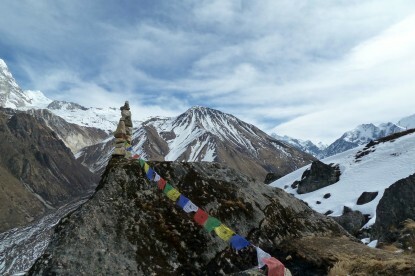 Service of Guide and porter during the trek and also their wages, foods, insurance and lodging. 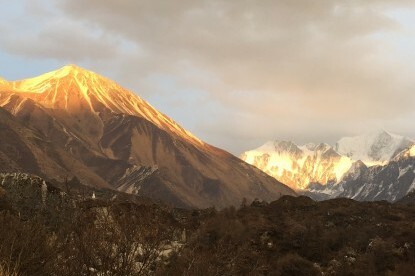 Transportation cost for Guide and porters. Sleeping bag and Duffel bags for the use of trek for porter. Meals(Lunch, dinner) during staying in Kathmandu. 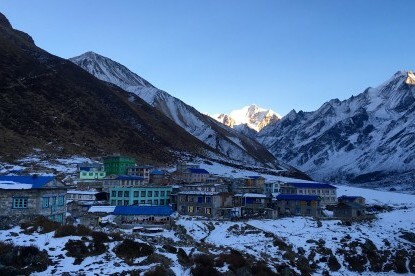 Nepal visa fee US$ 25 per person. 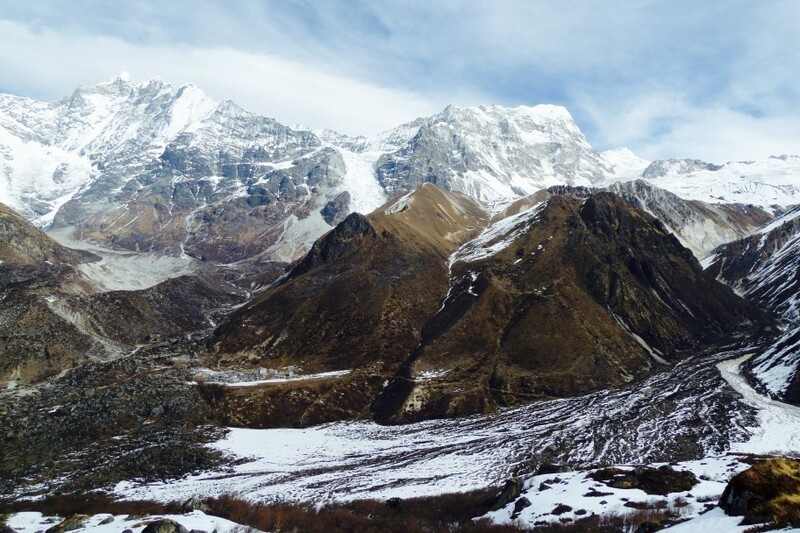 Air travels to and from Nepal, visa fees. All personal clothing and equipments. Arrival in kathmandu and transfer to the Hotel which is close to the multitude of shopping centers and restaurents. Day 02 Drive to Sybrubensi (1450m) by private vehicles. 6-7 hour driving. 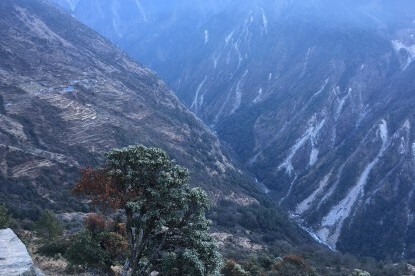 Kathmandu to Sybrubensi drive by landcruiser which will takes you 6-7 hrs. We drive the roads of Trisuli passing some dirt roads through Dunche passing Langtang national checkpoint and finally reach at Syabrubensi. 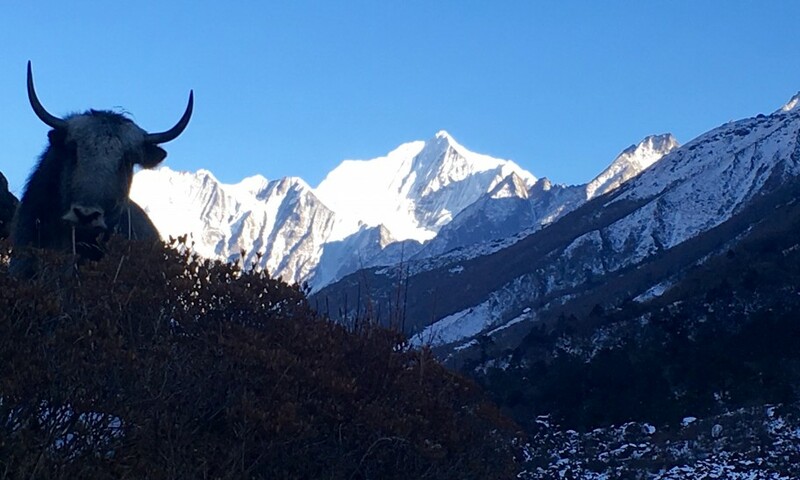 Day 03 Syabrubesi to Sherpa Gaun (2550m) 6-7 hrs walking. 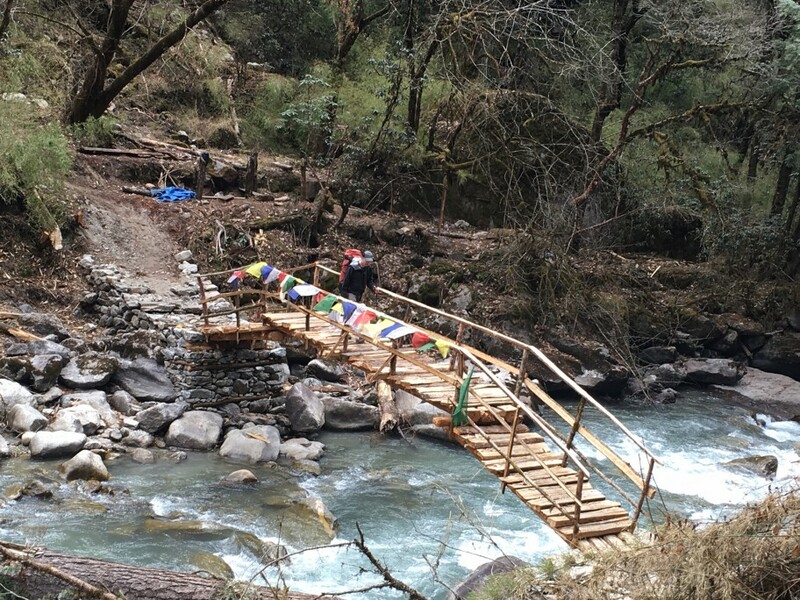 First cross the suspension bridge over BhoteKoshi then walk left side of the river through the pine forests to Khanjim village. After that the trail gradually climb up to the high ridges and descend to Sherpa gaun. 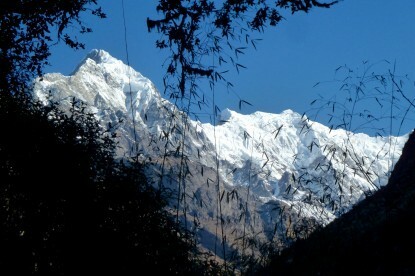 Day 04 Sherpa Gaun to Chunama(2750m) 5-6 hrs walking. 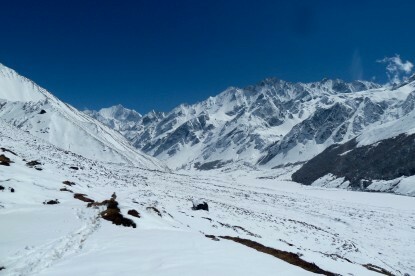 The trail is traversing towards rimche as we descend few places. Then we get into the main trail as we walk thnother two hours to reach Langtang.rough dense forest of oaks and pines to Chunama. Overnight in Teahouse. Day 05 Chhunama to Kyangjin Gompa(3800m) 6-7 hrs walking. 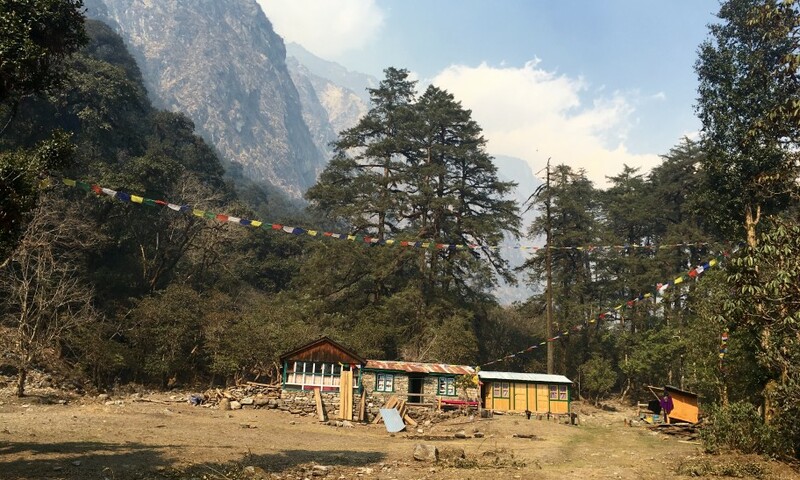 After short walking you will crosss the wooden bridge over langtang khola then continue climbing up to Ghoda Tabela, passing the national park check post and the trail climbs up to a hill. The forested zone ends and you follow a gentle sloping trail through grassy fields. 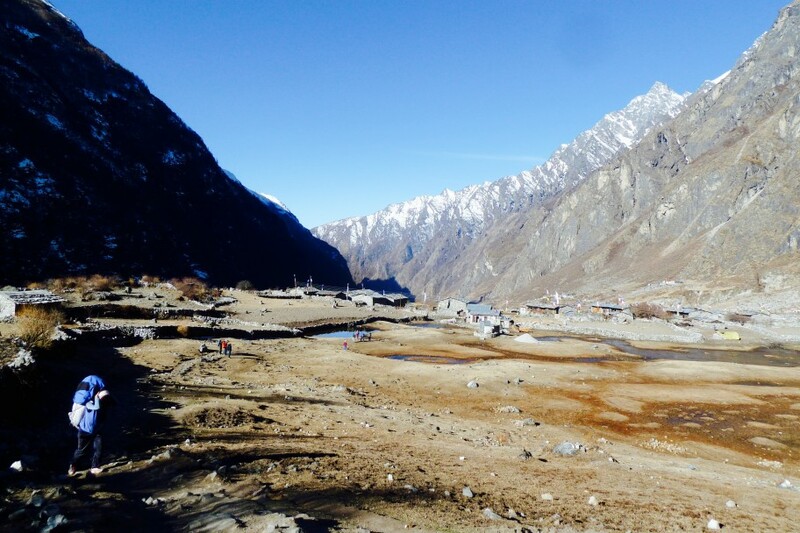 Climb again the gentle rising grassy area and walk through the moraine village of Langtang. Then short climb through grassy fields you come to a chorten. From this point there is amazingly long mane wall, truly a memorable sight. Continue along the gentle sloping path atop the terraced hills, passing the two small villages, the valley widens. The trail enters a level, dry riverbed and you cross the stream, Kim sung and Yansa Tsenji becomes visible to your left. You cross the moraine covered with loose stones, arrive at Kyanjing Gompa. Hike up to kyanjing Ri or Tserko Ri for the acclimatization and panoramic view of the mountains. Same day back to Kyanjing Gompa. Day 07 Kyangjin Gompa to Lama hotel(2380m) 6-7 hrs walking. Same way back to Lama hotel. Day 08 Lamahotel to Syabrubensi. 6-7 hrs walking. 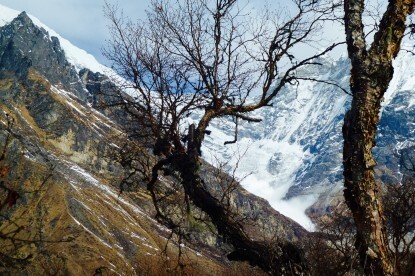 Trek back to Syabrubensi by the higher route of Sherpa gaun. Day 09 Drive back to Kathmandu. Drive back to Kathmandu. Free afternoon and overnight at hotel. Sleeping bag (down), rated to -10-degree centigrade (If you don’t have them it can rent in Kathmandu for your trek period). Hiking boots should be lightweight to medium weight leather or Gore-Tex. Your boots should fit well and be completely broken in prior to your trek. Sneakers or sandals for camp and town. Socks, thin liners (polypro or silk), thick outer socks (wool or polypro). Bring 3 changes of socks. Thermal underwear, polypropylene or other synthetic (No cotton). Lightweight hiking pants, Insulating pants (fleece or equivalent), Rain pants. Several t-shirts, both long and short sleeved. If you wear prescription glasses or contacts, bring spares. Two (2) good quality 1-litre water bottles. Flashlight or headlamp with extra batteries. Pictures of where you live, your family, and what you do. (to share with people along the way). Special snack items in zip lock bags. Toilet kit with a towel, washcloth, bandanna, scrub brush, short clothesline, safety pins, mesh laundry bag, biodegradable soap, toilet paper, pre-moistened towel, toothbrush, toothpaste, etc. Women: bring extra sanitary supplies and zip lock bags to pack out used materials. 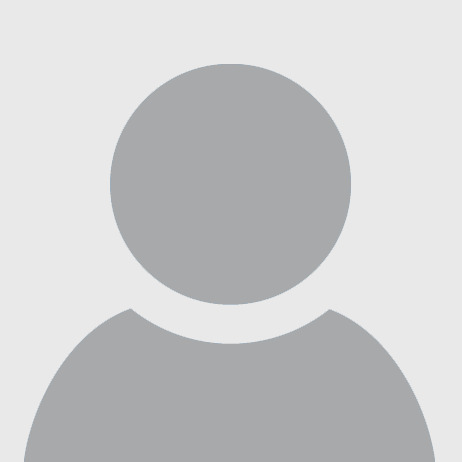 Personal medical/first aid kit with aspirin, ibuprofen or acetaminophen, nasal/throat decongestant, topical antiseptic, band-aids/bandages, sunscreen and lip balm, laxative, anti-diarrhoea medicines, antacid, water purification tablets (or filter), moleskin, bug repellent, and any personal prescriptions or medical items.